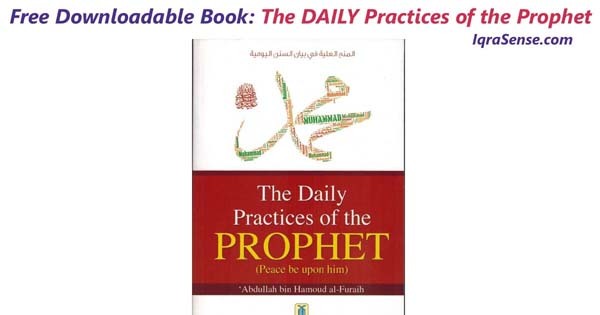 This free book (see download instructions below) is a compilation of some Sunnan (practices of the Prophet s.a.w.s.) and acts of worship. It is the very Sunnan that has been passed down to us through generations, whether they be known or unknown acts of worship, or those that are neglected, all of which are blessings of Allah the Almighty, only for this nation. Therefore, by adhering to them one increases their own acts of worship, as these Sunnan help to increase and multiply a person’s reward. Such a reward was not granted to any previous nation since Allah the Almighty has favored this nation above all nations. He bestows great rewards upon those who hasten to practice such Sunnan, thus, they are greatly sublime, and fruitful.